T1 terminal batteries with various specifications are available at SF Cable. You can now order T1 terminal batteries and other batteries at SF Cable and get them delivered at your door steps. 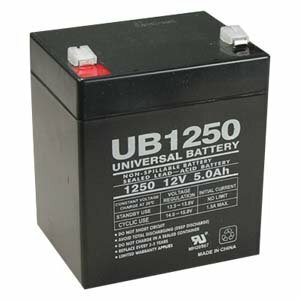 We have a wide range of T1 terminal batteries which include 12V 5Ah SLA Battery, 12V 5Ah Battery T1 Terminal, BP5-12-T1, 6V 1Ah Battery T1 Terminal, BP1.0-6-T1, 6V 1.2Ah Battery T1 Terminal, BP1.2-6-T1, 6V 3Ah Battery T1 Terminal, BP3-6-T1, 6V 4Ah Battery T1 Terminal, BP4-6-T1, 6V 4.5Ah Battery T1 Terminal, BP4.5-6-T1, 6V 5Ah Battery T1 Terminal, BP5-6-T1, 12V 1.2Ah Battery, T1 Terminal BP1.2-12-T1, 12V 2.3Ah Battery, T1 Terminal BP2.3-12-T1, and 12V 3Ah Battery, T1 Terminal BP3-12-T1. Our products are promising which leads to customer satisfaction. We also provide hassle free after sale services.